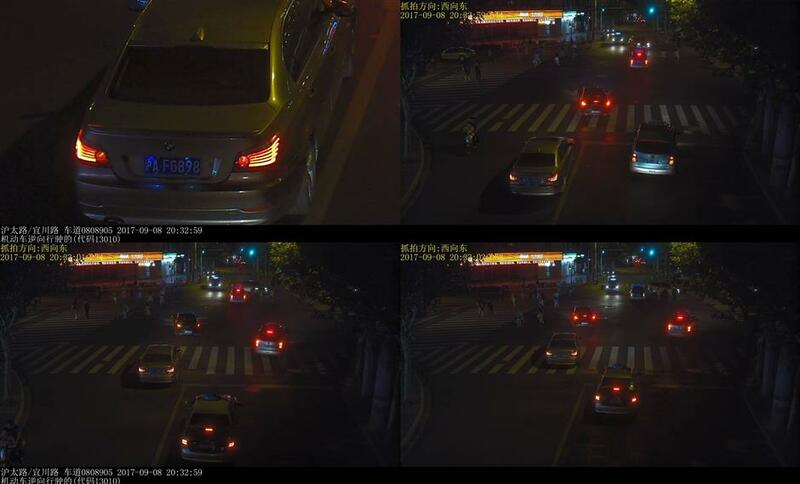 Traffic police camera software can help detect nine kinds of traffic offenses. 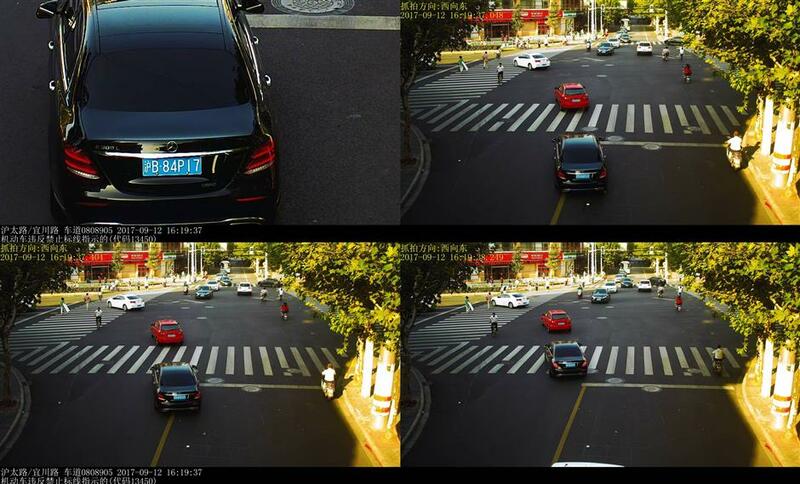 Shanghai traffic police have developed camera software that can enable a camera to detect nine kinds of traffic offenses. Described as the most versatile of its kind in the city so far, the first "super camera" is located at the crossroads of Hutai Road and Yichuan Road. In the past week, it has caught 125 traffic offenses. This camera, which originally captured only cars running through a red light and driving in a wrong lane, can now automatically analyze seven other offenses — including driving in the wrong direction, making an illegal left turn, not giving way to pedestrians and illegally stopping on a zebra crossing. A car is captured illegally crossing the middle of the street on Tuesday. A car caught making an illegal U-turn on Tuesday. A car caught going the wrong way on Friday. Qi Yue, an official of the department of science and technology of Shanghai traffic police, said the camera is like a small computer that processes the pictures with the software. 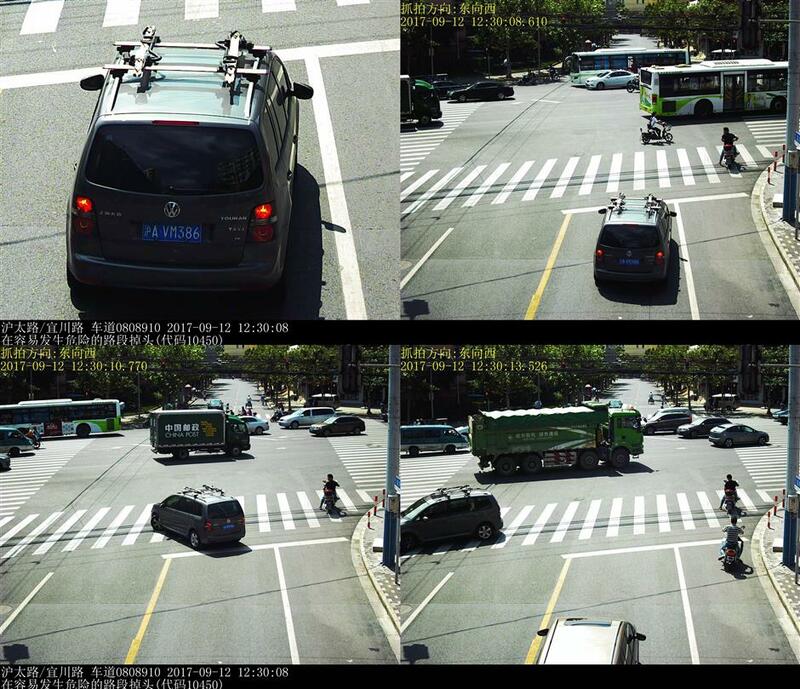 Although the camera, which takes pictures from behind a motor vehicle, can capture more than one offense by the same vehicle at the same time, only the offense with the gravest punishment will be recorded, Qi said. Among the 125 offenses caught by the camera in the past seven days, 49 concerned illegal left turns, 29 left-turning vehicles not properly giving way, and 16 driving in a wrong lane, police said. Police plan to equip 29 more traffic police cameras around the city with the software by the end of this year. “We will make sure that the most frequent traffic offenses at a crossroads are covered by the camera,” Qi said. All traffic police cameras in the city will be upgraded with the software in the next two years, police said.